Normally I’m a huge fan of anything Neil Gaiman writes; it’s imaginative, it’s creative and it offers you an interesting fantasy. However, this story really didn’t do it for me. The main characters were barely likeable in my opinion. For me it got so bad that I was actually rooting for the villain, Tiger. 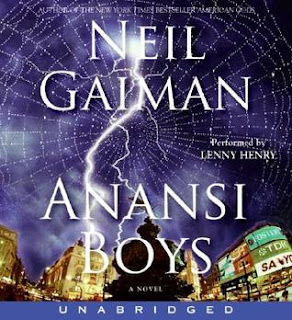 Anansi, the one extravagant and amusing character that I did enjoy was dead by the beginning of the story. So sadly this one fell flat for me.